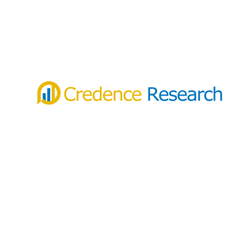 The latest market report published by Credence Research, Inc. “Beta-glucan Market, By Source Type (Cereals-(Oats, Barley), Fungal & Microbial-(Mushroom, Yeast and Algae) & Others-(Dates, Peas etc. )), Application (Food & Beverage, Pharmaceutical, Cosmetics and Animal Feed) and By Region (North America, Europe, Asia Pacific, Latin America and Middle East and Africa) – Growth, Future Prospects and Competitive Analysis, 2017 – 2025,” the global beta-glucan market is expected to expand by 7.2% CAGR during 2017-2025. Demand for beta-glucan products is expected to gain traction with various regulatory aspects specific to countries claims health benefits. Furthermore factors such as growing awareness among consumers about the exceptional properties of beta-glucan, coupled with advanced food innovations enabling manufacturers to fortify their food products with higher fibre content is expected to drive the global beta-glucan market. The key players present in this market are Tate & Lyle PLC, Koninklijke DSM N.V., BIOTEC PHARMACON and Swedish Oat Fiber AB among others. The companies are focusing on launching beta-glucan products on several online retailer sites such as Amazon, Walmar, and Kmart etc. other than traditional ways thereby broadening their distribution network. The strategy is aimed towards positively seizing the advantage of consumer demand for immune health products. Kommentar hinterlassen on "Beta-Glucan Market 2018 – Global Industry Size, Industry Share, Market Trends, Growth and Forecast to 2026"